We were so excited to show her off! It was my birthday and Caroline was still with us, doing well! It was also the day of my scheduled postpartum visit to the OB. We didn’t know if Caroline would make it to that appointment. The odds told us she would not. But here she was, so sweet and very much alive. My family of 3 came to the appointment. My OB was running behind as usual. I never minded because he always gave attention as if you were the only patient on his schedule, and if that meant waiting, it was fine with me. We sat in the waiting room, with Caroline in her car seat until she was ready to be held instead. Other patients asked how old Caroline was and said she was beautiful. I got to feel like a normal mom for a little while. I didn’t mind overhearing one woman telling her husband that “that baby has a cleft lip.” Caroline had the opportunity to show people how beautiful and happy she was. The cleft lip never held her back. Finally we were called to an exam room. Mike proudly held Caroline in his arms, and my OB was so happy to see her! I think he was amazed at how well she was doing. We took a chalkboard picture of Caroline and the man who delivered her. She was 40 days old that day! We returned home after my appointment and celebrated the day with some orange creamsicle cake. It was a sweet end to a sweet day. 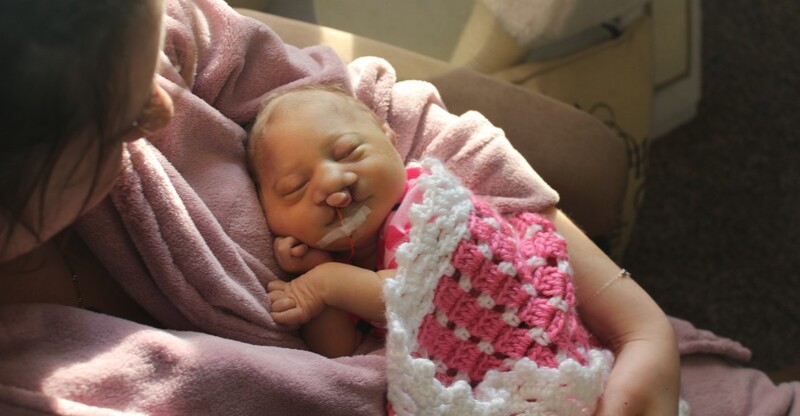 Categories: Memory Monday | Tags: birthday, cleft lip, love, trisomy 13 | Permalink. Tomorrow is March 1st. I really can’t believe it. Somehow I have survived the year and landed back in Caroline’s birth month. This time of year is a whirlwind of advocacy days. February is heart month, which is now special to me because of Caroline’s congenital heart defect. February 28th is World Rare Disease Day, which is now special to me because Caroline had a condition on the list of rare diseases. March is Trisomy Awareness Month, which is now special to me because Caroline had Trisomy 13. Of course, March is the most special to me because it holds Caroline’s first birthday. I keep thinking about what I was doing this time last year, amazed that Caroline was still with me and beginning to feel that I was ready for her birth. I knew that it meant losing her soon, which was terrifying, but I longed to see what color her eyes were and if she had her daddy’s nose. I longed to know my daughter, even if it was just to memorize her face and tell her how much I love her. 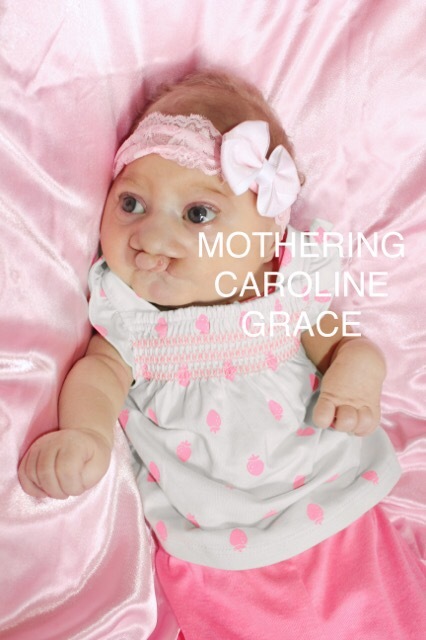 Caroline came into this world on March 26, 2014, a living miracle. I want to celebrate the beautiful life that Caroline lived. A life full of love. I don’t know how to do this. I don’t know how to reach my first child’s first birthday without her here with me. I know she is in heaven without pain, but my pain still remains. I want to celebrate the beautiful life that Caroline lived. What do I do? Categories: Grief, Support | Tags: advocacy, celebrate, first birthday, heart month, life, love, march, trisomy 13, trisomy awareness month, world rare disease day | Permalink.